That Dr. Paul Herget, the director of the University of Cincinnati Observatory, is one of the nation’s few experts capable of operating every type of computing machine? Dr. Herget, who is teaching a new UC course in principles and uses of electronic computing machines, is director of all computations of orbits for this country’s artificial satellite program. Last spring, using the world’s largest and most powerful computing machine, Dr. Herget completed more computations that ever before in the history of astronomy. Working for nine hours on trajectory computations for minor planets, he estimated that he made the equivalent of 5000 years of computations, corresponding to approximately half a billion arithmetic operations, most of the consisting of 13 digits. Another significant scientific war contribution by a University of Cincinnati faculty member came to light last night when it was learned that Dr. Paul Herget, professor of astronomy, College of Liberal Arts and director of UC Observatory, recently returned to UC, wrote the book that made possible the locating of enemy sub-marines by their radio signals from around the world. The book, of which fewer than 100 copies are believed to have been issued, performed the sub-finding task through the computation of a quarter-million spherical triangles. For three and one-half years Dr. Herget, a UC graduate, served as astronomer at the U. S. Naval Observatory at Washington. He declined an invitation to remain as permanent member of the staff there, preferring to return to UC. The book represented a remarkable utilization of the sciences of astronomy and mathematics on international Business Machines Corp. Machines. The machines, similar to those seen in many large accounting departments, handle and inscribe punch-cards with remarkable speed and accuracy, Dr. Herget said. Once the solution of all these spherical triangles was available in book form it became possible to locate an enemy submarine within three to five minutes after it started to transmit messages. This was the first step in the Navy’s destruction of German wolf-packs at the time when the threat to American convoys was most serious. One of the most gratifying testimonials as to the book’s helpfulness came from the Captain of a destroyer, who said the “tracking chart” had been highly effective. 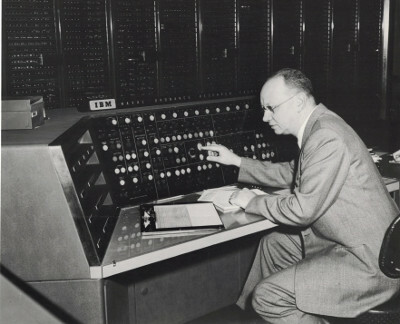 Dr. Herget was stationed in the same office in which the Air Almanac was produced, with the same computing machinery used in producing the submarine tracking book. The almanac was described as essential for the navigation of all bombers, air transports and every plane that has navigator. The almanac, produced by the tens of thousands, was photolithed. Had Paul Herget lived in another era, his research would have been no less creative, his brilliance no less honored. But because his inquiries into our universe coincided with the United States’ incredible explorations of space, all that he did had a timeliness and relevance that few scholars are privileged to know. That circumstance made his death last week all the more grievous. 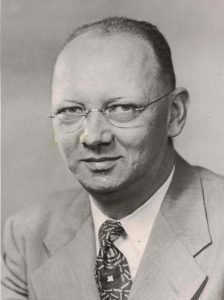 Dr. Herget became associated with the University of Cincinnati’s astronomy faculty in 1936 and became director of the UC observatory seven years later. In the course of his career he also worked with the U.S. Naval Observatory where he developed a triangulation method to determine the location of enemy submarines. He was also a consultant for the Manhattan Project, which succeeded in harnessing nuclear energy. In more recent years, he developed formulas for competing trajectories and formulas for many components of the U.S. space program. Dr. Herget received the James Craig Watson Medal for his research in 1965 and was named to the National Academy of Science in 1962. He was one of only seven academicians to be appointed a distinguished service professor at the University of Cincinnati in its long history. Quite apart from the dramatic impact much of his work had, Dr. Herget made daily contributions to building UC’s stature and enhancing its reputations. The most precious resource of any educational institution, after all, has nothing to do with its physical facilities: it inheres instead in the competence of his faculty. 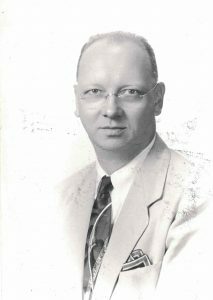 Dr. Herget was a man of immense learning with a quick and creative intellect. But he was also a warm and affable human being, who will be remembered as warmly for his humanity as for his scholarship. CINCINNATI, Aug. 28— Paul Herget, an astronomer and a pioneer in the space program, died yesterday. He was 73 years old. 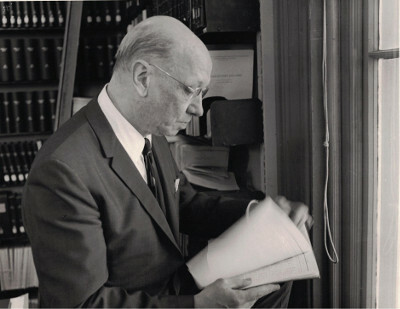 Mr. Herget retired in 1978 as director of the Minor Planet Center of the International Astronomical Union and head of the astronomy department at the University of Cincinnati. In the 1950’s, he was responsible for computing trajectories and orbits in the development of the Atlas intercontinental ballistic missile, the Vanguard satellite program and the Mercury manned space flights. His 1948 book, ”The Computation of Orbits,” was a landmark work in the early days of the space program and is still required reading in the field of celestial mechanics. He was named to the National Academy of Sciences in 1962 and was awarded the James Craig Medal for research three years later. At Cincinnati, Mr. Herget coordinated the identification and registration of newly discovered asteroids. He also kept records of asteroid orbits and conducted searches for asteroids that had been lost to observers. In 1954, he rediscovered the asteroid Athelia, which had not been observed for more than 50 years. Since his retirement, he had devoted his time to computer development and assisted in several scholarly papers. He is survived by his wife and a daughter. Services will be private.